Kick-off the start of a new year with Global Affairs! 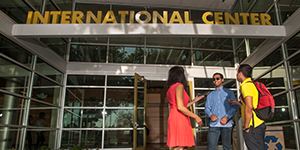 Join us at the International Center for food, live music and activities as we mix and mingle with incoming international students and scholars. Learn more about the different programs within Global Affairs and find out how you can get involved and stay involved throughout the year. Families welcome.